Sure, all is possible but could you please post the EVWMA formula because I can't to find it. Plus I suppose you are familiar with the Elastic Volume Weighted MA(eVWMA) which is in the list of MAs already. Please check out the AllAverages with the new V-EMA. 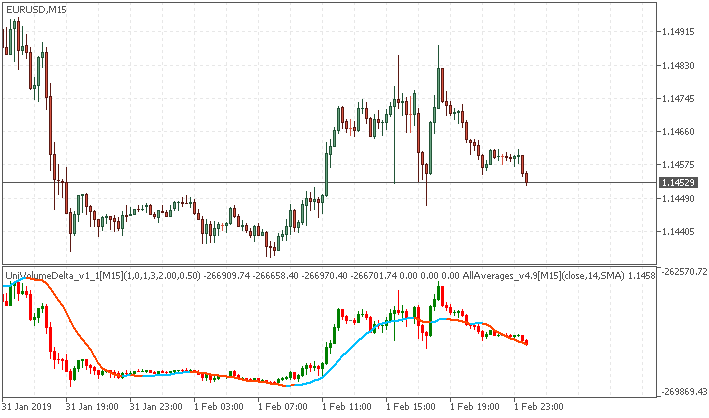 Please check out the updated AllAverages indicators for MT5. hi, Igorad, how do you do, man? I have found some add-on for your indicator. As I understand it's something similar to the Least Square Moving Average (or EPMA, Linear Regression Line). Thanks a lot for this!! Really appreciated this, all the best! Ok, did not know. thanks. You know I have thought of... What if WMA (Whilders) and VWMA are to be "crossed" thogether. Just interesting to look at this "beast". Is it hard to make? How can I applied this to UniVolumeDelta in 2nd window, as you did? I tried to drag and put on 2nd window but not working. Attach UniVolumeDelta_v1_1 indicator from this post. 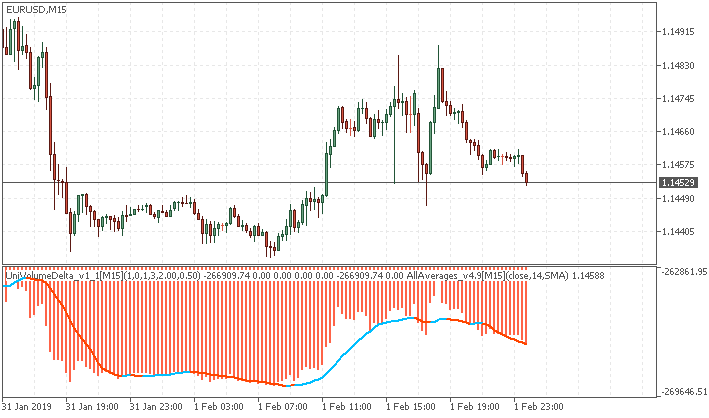 After that - move AllAverages_v4.9 indicator from Navigator to the separate window of the chart (move by mouse).